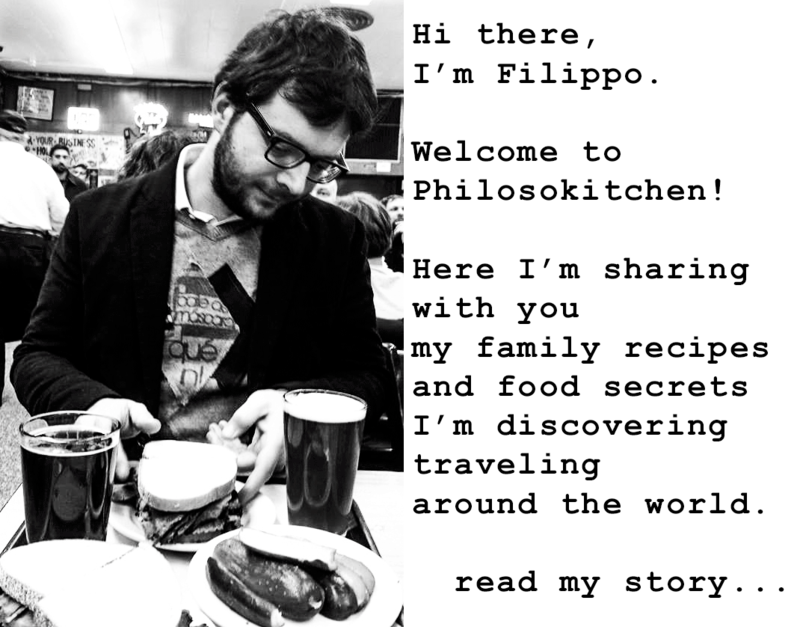 Mushroom risotto: another classic Italian! 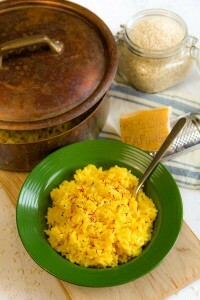 Risotto recipes are very popular into the North Eastern Italian cuisine. Its preparation is not particularly easy, but it worth any minute of your time! 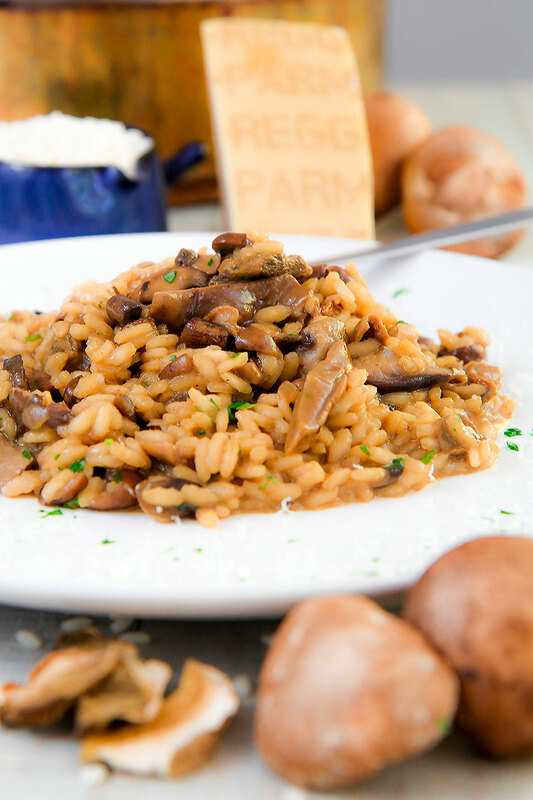 There are many variations of Italian risotto: along with Milanese Risotto and Asparagus Risotto, the mushroom version is one of the most famous. 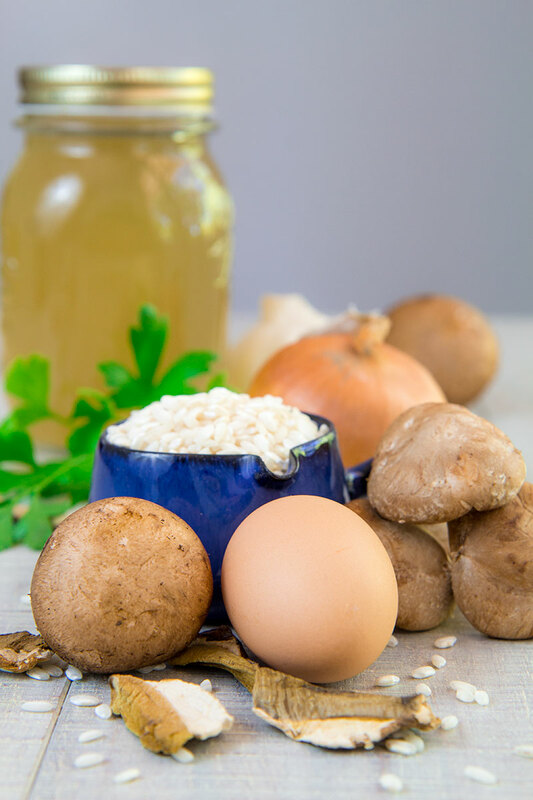 In this case, I love to add a yolk before stirring the last time my mushroom risotto, but if someone doesn’t like the taste of the egg, it is possible to substitute the yolk with one more spoon of butter. 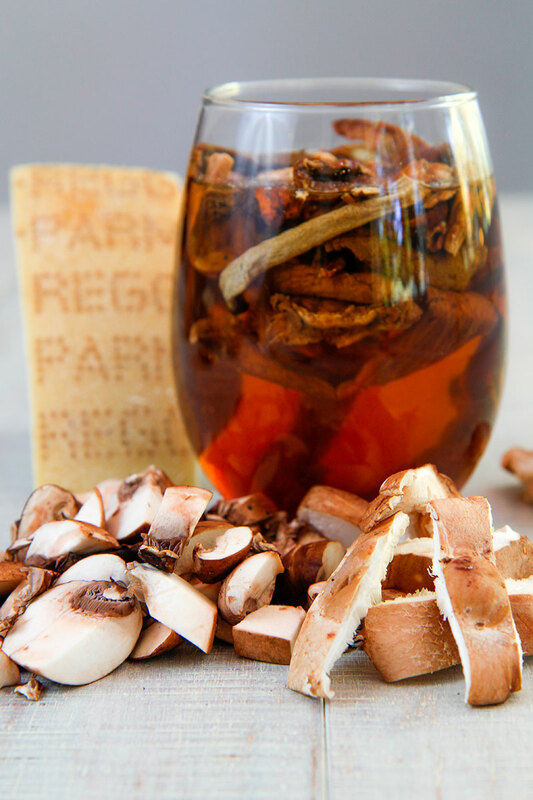 First, soak dried Porcini mushrooms into a glass of water. Meanwhile, Porcini are becoming soft, peel and crush the garlic and mince the onion. Now, place a saucepan over medium/low heat and melt 2 tbsp of butter, then saute onion and garlic until very soft and translucent. Meanwhile, onion and garlic are cooking, Brush Cremini and Shiitake mushrooms discarding any trace of dirt, then cut them into chunks. Now, raise the Porcini saving the water and squeeze them gently between two towel paper. When the onion and garlic are soft, pour the mushrooms into the pan and saute over medium heat 10 minutes, stirring frequently. Finally, pour the sauteed mushrooms into a covered bowl. 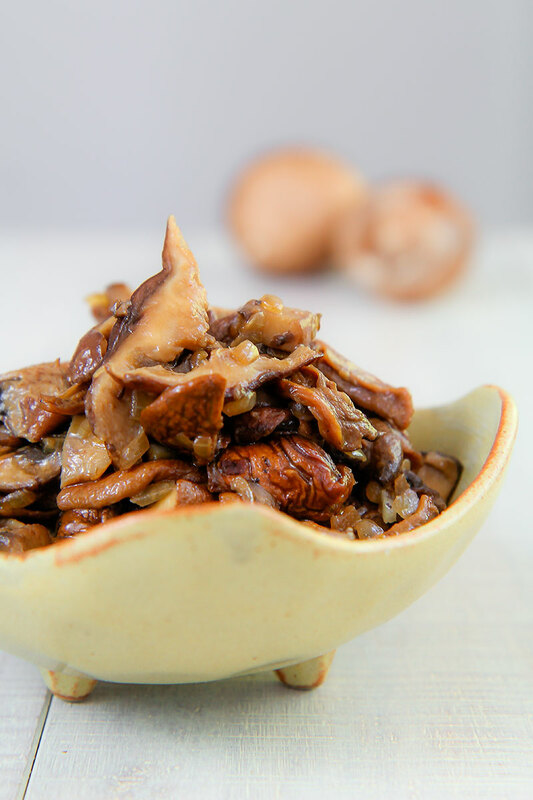 Combine the broth with the water used to soak dried porcini, and bring it to simmer. In the same saucepan, we used to saute the mushrooms, melt another tbsp of butter, then saute the rice a couple of minutes over medium heat, stirring continuously. This step is essential to protect any grain of rice with a film of butter, and permit them to save their shape after cooked. After that, pour the sauteed mushrooms and enough simmering broth to cover the rice 1/2 inch above the rice. Stir well to combine all the ingredients, then set the heat in order to let the mushroom risotto gently simmer. When the rice will adsorb almost all the liquid, add more broth a lattle at time. 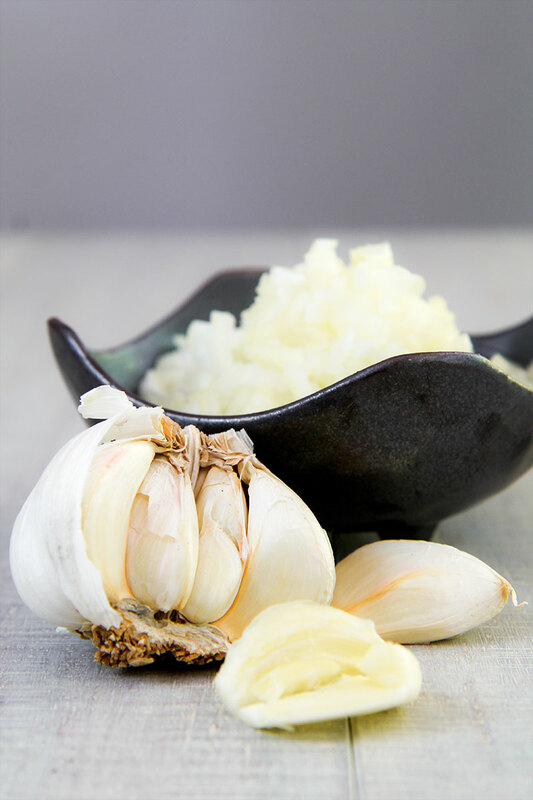 Cook risotto until “al dente”, then bring the saucepan far from the heat and pour immediately 1 tbsp of very cold butter and 4 tbsp of Parmigiano Reggiano. Stir the rice energetically and cover with a lid. This step is called in Italian “mantecatura”. Let the rice rest 3 minutes, then add 1 yolk, 1 pinch of black pepper and the minced parsley. Finally, stir well one more time and serve mushroom risotto immediately, creamy but not watery. In the same saucepan, we used to saute the mushrooms, melt another tbsp of butter, then saute the rice a couple of minutes over medium heat, stirring continuously. This step is essential to protect any grain of rice with a film of butter, and permit them to save their shape after cooked. After that, pour the sauteed mushrooms and enough simmering broth to cover the rice ½ inch above the rice. Stir well to combine all the ingredients, then set the heat in order to let the mushroom risotto gently simmer. When the rice will adsorb almost all the liquid, add more broth a lattle at time.